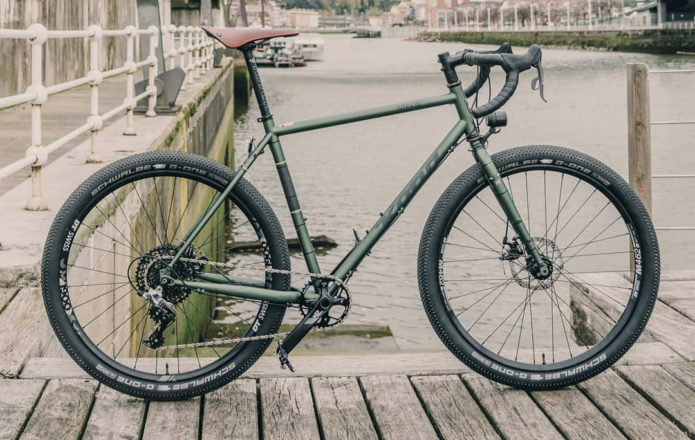 Bike World magazine from Spain has just published their round-up of our 2019 gravel and multi-surface bikes from our European launch in Madeira. 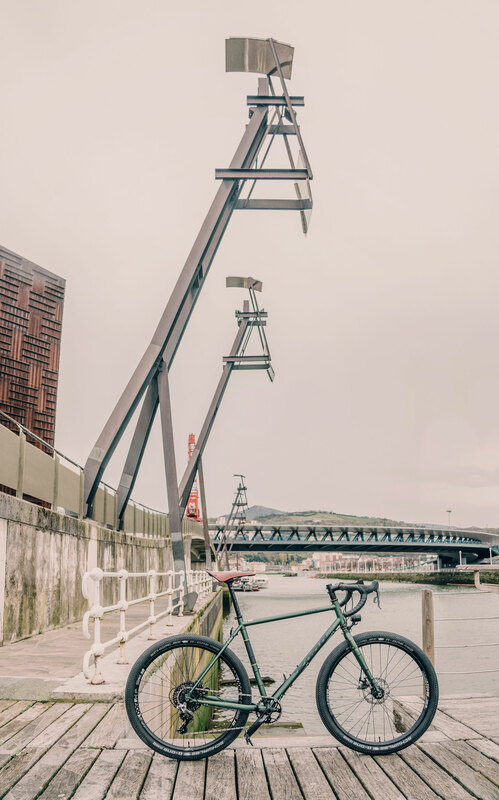 Bike World took to this Portuguese paradise on board Libre‘s, Rove NRB’s and on Sutra LTD models and it seems they were as impressed with bikes as they were with the terrain on offer. Journalist Jorge Talus was more than taken with the Libre’s comfort, its finish, and the attention to detail in the build. If you can read Spanish (or are a dab hand at google translate), you can check out the full write up as a high res PDF here. Kona’s legendary Dr Dew recently skipped across the Atlantic with product manager Mark “Donny” Allison to help launch our line of drop bar/gravel bikes to the European media. The setting was the ever-so-scenic island of Madeira- the perfect terrain for Libres, Sutra LTDs, and Roves. We’ll be rolling out reviews from the press as they come in, but for now, please enjoy this recap of riding and local culture by the doctor, himself. I was aware that I had a work assignment coming up in the second half of October. I would be attending a gravel launch in Madeira with Mark Allison, a.k.a. Donny, Kona’s most junior product manager. As I pondered his recent 21,000 vertical single day achievement, I began to think of the story of the old bull and the young bull only we wouldn’t be walking down the mountain. We met in Vancouver airport and three planes later landed at the Christiano Ronaldo airport in Madeira. Known as the most dangerous airport in Europe it was good to be on terra firma. Once at the hotel we were warned of the impending hurricane forecast for the next day. I thought back to the plane landing somewhat relieved that our flight had been so smooth. Timing is everything. The following morning, we awoke to a pleasant hurricane. The brunt of the storm was passing us to the north and we were looking at a promising day with light rain, wind and high seas. After breakfast, we were introduced to the guys from Madeira who would be our guides for the launch. The morning was spent assembling bikes. During the afternoon we weathered the storm and checked out one of the planned rides on the west side of the island. The following day was much the same spent detailing bikes in the morning and riding another trail in the afternoon. Trail guide Joe Sanchez would clear trails and Kona lensman Joonas Vinnari scoping the best photos opportunities. The riding reminded me of California meets Hawaii. It was going to be exciting to have a large group on the ride. Day one of the launch started at breakfast with introductions. Some of the journalists arrived late and were a bit groggy. Everyone’s spirits were high. Madeira has had good riding reviews lately and everyone was anxious to get on the bikes. After bike assignment, we were shuttled off to the east side of the island. We arrived high in the hills above Machico and had a light rain to contend with. Twisting mountain roads gave way to a modest gravel climb. We ascended up the gravel road until we entered a single track that was part of an old aqueduct system. Banana trees, eucalyptus and sugarcane provided a cover from the wind and rain as we wound our way across the side of the mountain. About a dozen mountain bikers shot us bewildered expressions as we passed them on our drop bar bikes. After maybe 24 kms of singletrack we came out into dry warm skies and continued onto more twisting roads traversing the mountainside. An exhilarating decent led us to a piazza with great views of the ocean. After a quick traditional lunch, the bikes were loaded into the van and it was off to the west side of the island. The west side had slightly denser vegetation and was the same area where the enduro trails are located. This ride was more open and led into some sweet single track. The single track turned into urban trails and finished with a stunning steep descent down to the ocean. At the beach, we hung at two little Rasta bars. Everyone relaxed and reflected on the day’s riding with beer and poncha. Poncha is Madeira’s traditional drink and can help to cure a cold among other things. One of our guides named Alex had his board shorts and convinced everyone to jump into the Atlantic. As we were bobbing in the Atlantic he gave us some advice. “Go where the current takes you,” and, “The waves come in sets of seven. Don’t panic.” After the swim it was back to the hotel for dinner. Everyone looked content after dinner and we retired soon after. Tomorrow would be an early start. Donny-not working on his tan. Day 2 started with a 6:30 breakfast. By 7:15 we were off on our bikes equipped with lights heading to the ferry terminal. A 1.5-hour ferry ride ensued as we headed to the island of Porto Santo. Northeast of Madeira this island makes for a great day trip. Porto Santo “Holy Harbour” has lots of sandy beaches that are sheltered. The stark landscape is a result of feral rabbits that were introduced back in the 1400’s. They decimated the island and left it sparse with vegetation. We set out and really experienced what these bikes are all about. Smooth twisting tarmac got us to the top of the island where we rode off into gravel singletrack that circled the island. Singletrack opened into “German Gravel” that was smooth and fast. The riding was excellent and the views unbelievable. It wasn’t until mid afternoon that we completed the ride down at the beach, exhausted. Lunch was relished. Soon after the lunch Donny, Joe, Henry and Joonas took the journalists to a small airport where Tourism Madeira had them booked on a hopper flight back to Madeira. I settled on a swim with Alex, Jim and Bart before boarding the ferry back with the bikes. At dinner everyone seemed to be glowing. Two good days of riding left everyone feeling content. Most of the journalists were talking about the next time that they would be back to ride. We chose to walk back to the hotel from the old town and enjoy the night air. A lot of journalists had early flights so there was no time for any shenanigans. For our last day in Madeira we had been invited to play a round of golf at the Palheiro golf club. Despite this tempting offer I graciously declined so that I could spend the bulk of the day riding the bikes and exploring Funchal. Joe was kind enough to take some of the remaining journalists along with Donny and myself on a little tour. Tight cobbled roads, coffee bars, the fish market, old forts were just a few of the spots that we visited. It was like old world meets Hawaii as we finished watching the sun traverse the ocean. As we shared a beer and some beans the journalists were comparing the hours that they had between this launch and their next. I was reminded that this was their work and in fact it was our work as well. I would like to thank everyone but especially Joe www.bikology.pt and tourism Madeira for their hospitality. Everyone else I hope to thank in person next time I am back in Madeira. Oh yeah there better be a next time. What happens when you put a mountain bike, road bike, and touring bike in a blender and hit go? The Sutra. 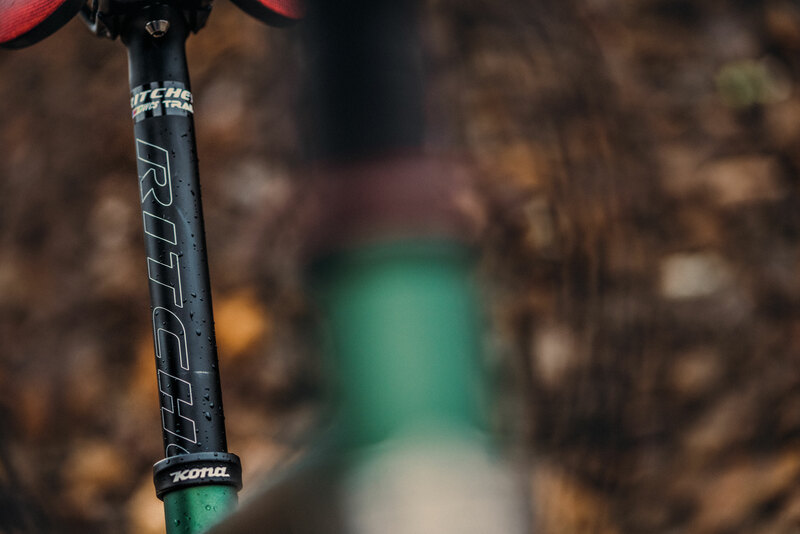 The legendary drop bar bike returns for 2019. Call it the drop bar bike for mountain bikers, or the Beast up to all burdens, but the Sutra is definitely one thing: badass. 700c wheels make it fast rolling. Beefier tires make rough terrain disappear, and there’s just something really special about the feel of a steel frame in motion. The Sutra and Sutra LTD offer style, an incredible ride, and amazing handling in one gorgeous package. The Sutra is many things. It’s gorgeous. It’s stylish. It’s incredibly versatile, and it comes ready for the long haul. 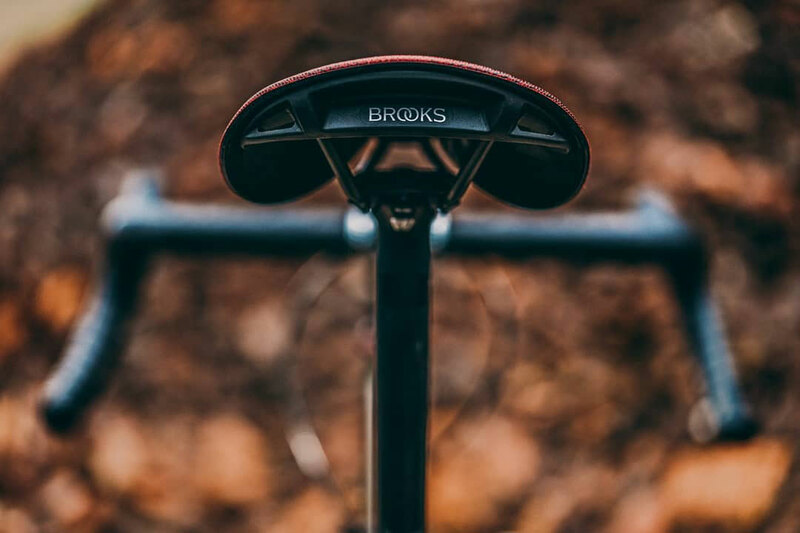 Our Kona Cromoly steel frame is outfitted by a Brooks saddle, cork bar tape, BarCon end shifters, a Shimano Deore 3×9 drivetrain to give you maximum gearing, and smooth-rolling 700c WTB wheels. It’s quite the looker right out of the box, and it’s ready for your biggest adventure. What more could you want? The nice folks over at BikePacking.com have posted up there 2017 Bike Packing Gear of The Year Awards and the Kona Sutra LTD made the shortlist for the Top 5 Bike Packing Bikes. This is what they had this to say. 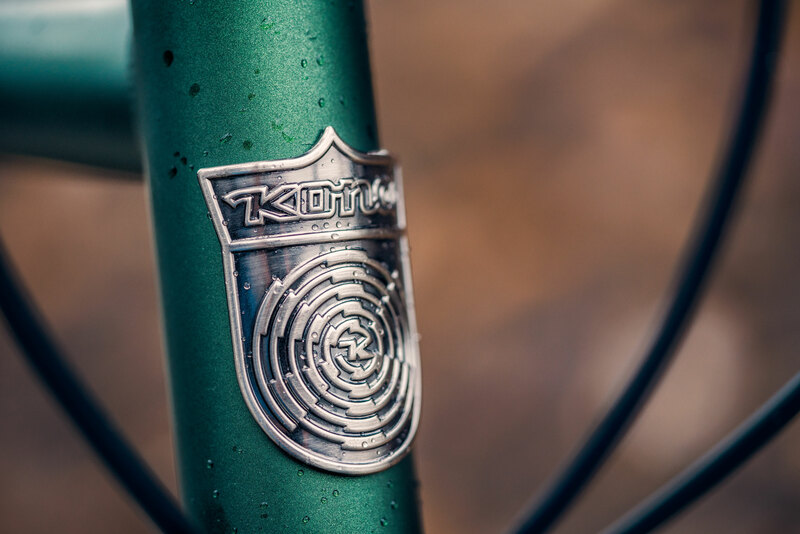 Offroad.cc spent time aboard the Kona Sutra LTD and discovered the real reason this bike is so special. “I think this is a bike you can have fun on. 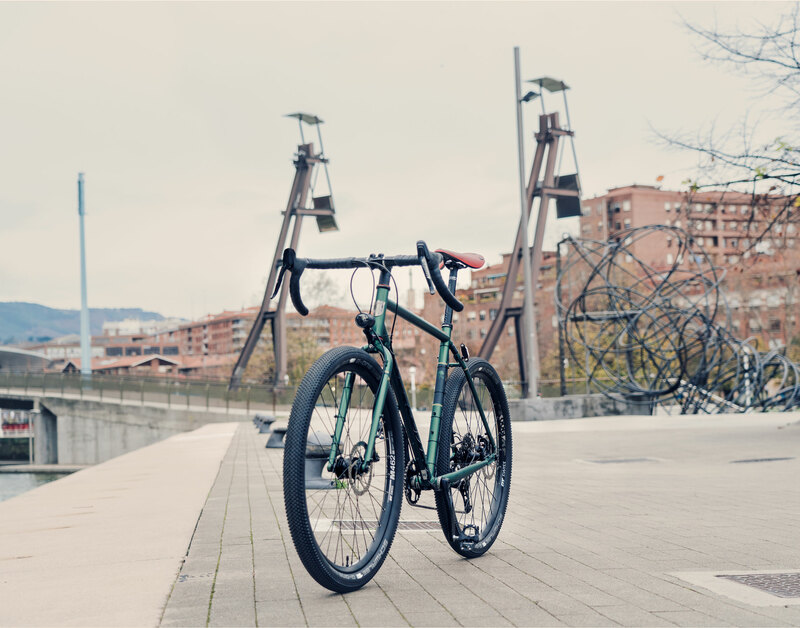 To romanticise a little, perhaps it’s a bike that goes to the roots of what biking can be, put together by people who aren’t trying to make something that “makes sense”, but something that they want to ride and use themselves,” writes Benedict Pfender. Check out the rest of their impressions here. Ebbene sì, la grande Sutra. La nostra affidabile viaggiatrice e sua sorella l’affamata-di-fango ti permetteranno le avventure che stavi pianificando da anni. Sia la Sutra che la Sutra LTD hanno un telaio in cromoly affidabile e che garantisce pedalate piacevoli e componenti scelti per garantire la durevolezza. La sola cosa che resta da scegliere è dove andrai con la tua macchina-da-avventure. 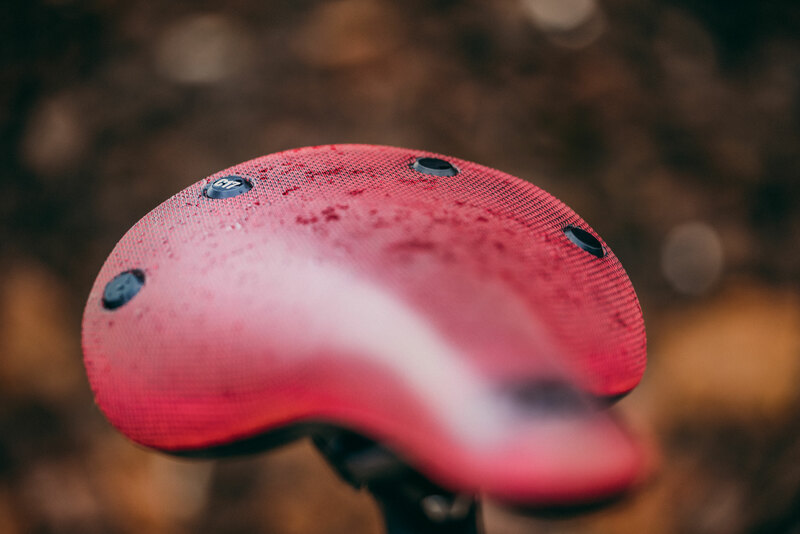 Quando un Mountain biker immagina una bici da viaggio il risultato è la Sutra LTD. Gruppo SRAM Rival 1 ad ampia escursione e freni idraulici insieme a ruote e copertoni tubeless ready. Quest’anno la Sutra LTD ha perni passanti e freni flat mount per stare sulla cresta dell’onda, così come le versioni precedenti. La Sutra LTD chiede solo di essere portata lontano, con o senza bagaglio. 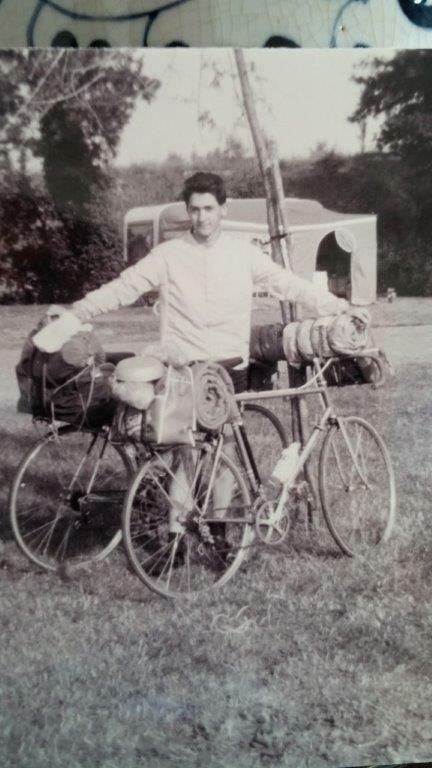 La Sutra è la nostra classica bici da viaggio in acciaio con tutte le accortezze di cui hai bisogno per mettere a punto il viaggio della tua vita. 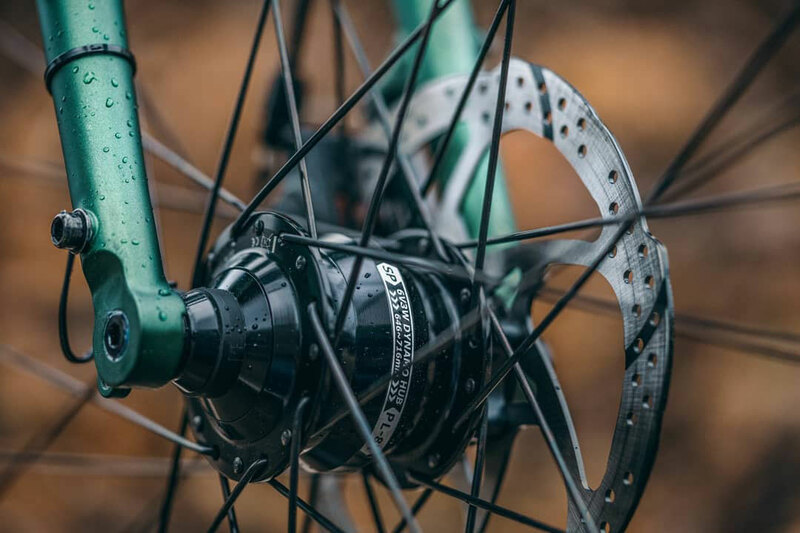 La sella Brooks B17 e il gruppo Shimano Deore sono affiancati da freni a disco Hayes, che ti metteranno subito a tuo agio, e dai copertoni da turismo Schwalbe Marathon Mondial. Che sia un fine settimana fuori città o un’estate sulle strade, la Sutra è il tuo biglietto per la libertà. Una Sutra LTD lo que resulta luego de que a un ciclista de montaña se le pide que describa una bici de cicloturismo. 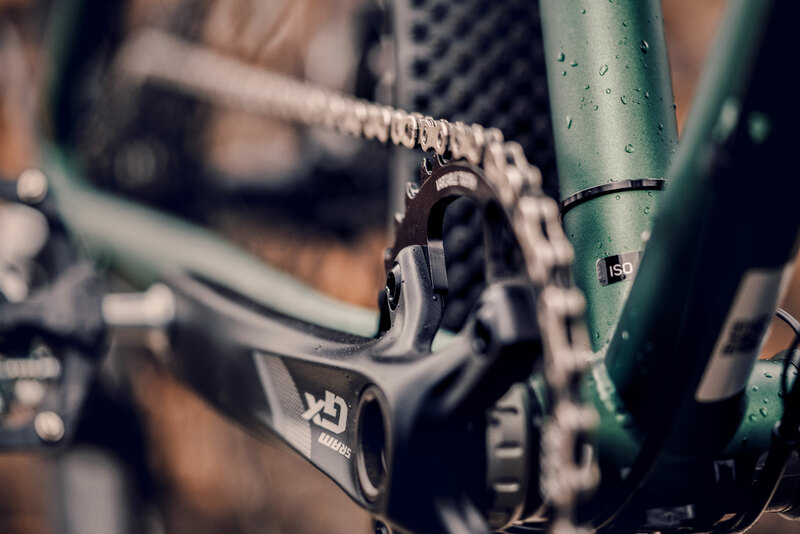 La transmisión SRAM Rival 1x de rango extendido se complementa con frenos de disco hidráulicos y ruedas y neumáticos tubeless ready. La Sutra LTD de este año recibe ejes pasantes y anclaje flat mount para sus frenos para mantenerse adelante de la ola, tal como lo hicieron sus recordados antepasados. La Sutra LTD realmente pide ser llevada lejos, con o sin carga. 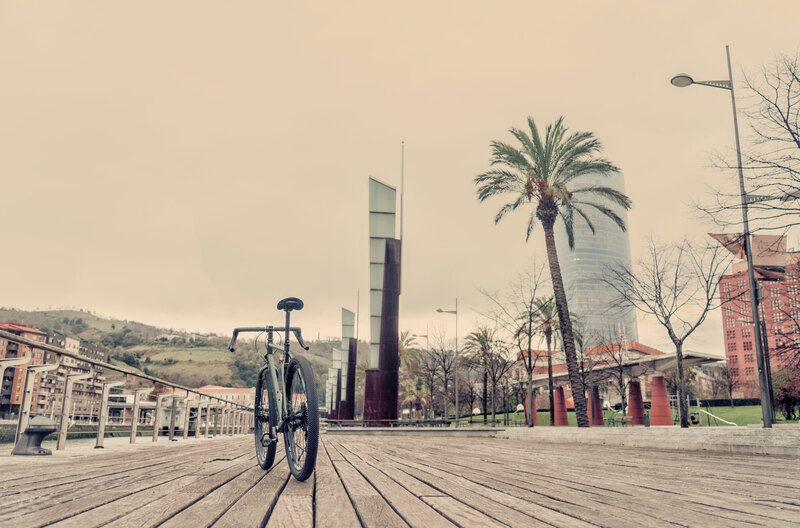 La Sutra es nuestra clásica bici de cicloturismo en acero, con todas las características que necesitarás en tu viaje soñado. El sillín Brooks B17 y transmisión Shimano Deore se complementan con frenos de disco Hayes que inspiran confianza y neumáticos Schwalbe Marathon Mondial de cicloturismo. Ya sea en esa salida de fin de semana, o en ese verano en la carretera, la Sutra es tu billete a la libertad. Ah ja, das ehrwürdige Sutra. Unser bewährter Weltenbummler und sein geländehungriger Zwilling machen die Abenteuer möglich, die du schon seit Jahren planst. Sowohl das Sutra als auch das Sutra LTD sind mit Blick auf Langlebigkeit mit einem widerstandsfähigen und geschmeidig fahrenden CroMoly-Rahmen sowie dauerfesten Komponenten ausgestattet. Stellt sich nur noch die Frage, wohin du dein Abenteuermobil führst. Das Sutra LTD kommt dabei heraus, wenn sich ein Mountainbiker ein Tourenbike vorstellt. Der SRAM Rival 1-fach Antrieb und hydraulische Scheibenbremsen werden durch Tubeless-ready-Laufräder und -Reifen ergänzt. Das Sutra LTD dieses Modelljahres bekommt Steckachsen und Flat-Mount-Scheibenbremsen, um weiterhin voranzufahren – wie seine hochgeschätzten Vorgänger. Das Sutra LTD bettelt nur darum, in die Ferne gefahren zu werden, mit oder ohne Gepäck. Das Sutra ist unser klassisches Stahl-Tourenbike, mit der vollen Ausstattung, die du für deine Traumtour benötigst. 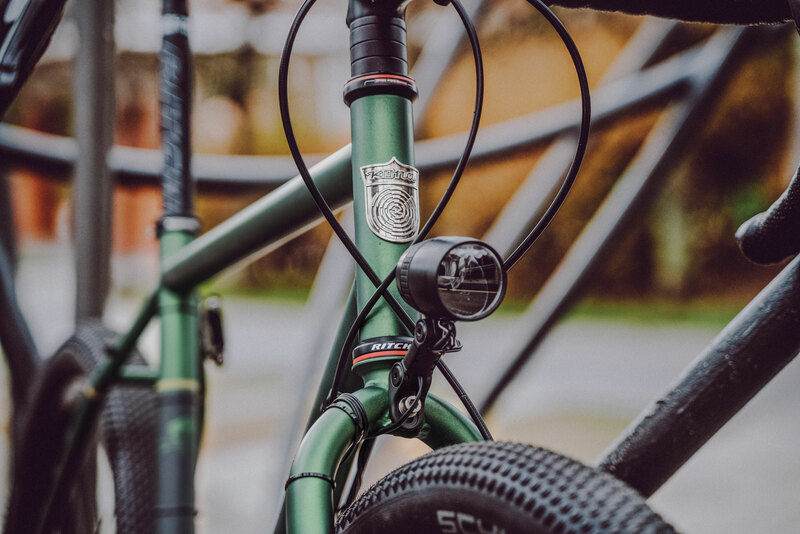 Der Brooks B17 Sattel und die Shimano Deore Schaltung werden ergänzt durch zupackende Hayes Scheibenbremsen und Schwalbe Marathon Mondial Tourenreifen. Ganz gleich, ob es um das Wochenende auf dem Land oder den Sommer auf großer Fahrt geht – das Sutra ist dein Ticket in die Freiheit. Ah yes, the venerable Sutra. Our proven world tourer and its dirt-hungry sibling are enablers of the adventures you’ve been scheming on for years. 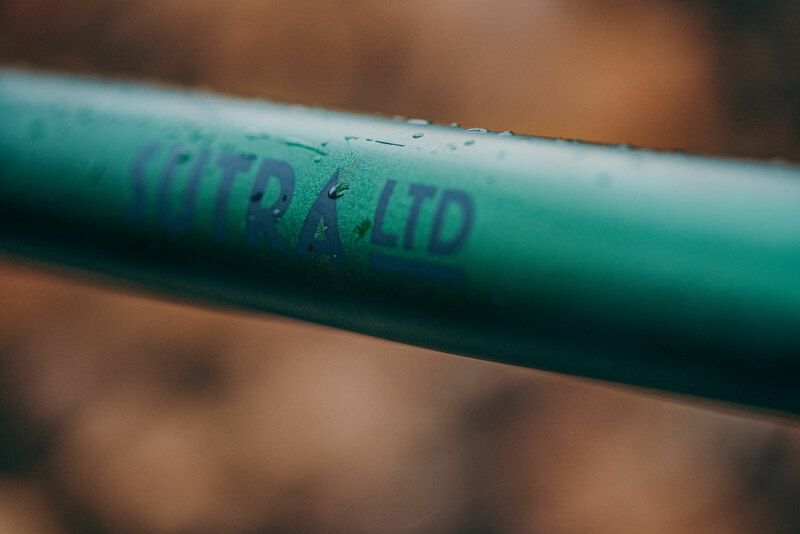 Both the Sutra and Sutra LTD feature a durable and smooth-riding cromoly frame and a component set selected with the long term in mind. The only question that remains, is where you’ll be taking your adventuremobile.